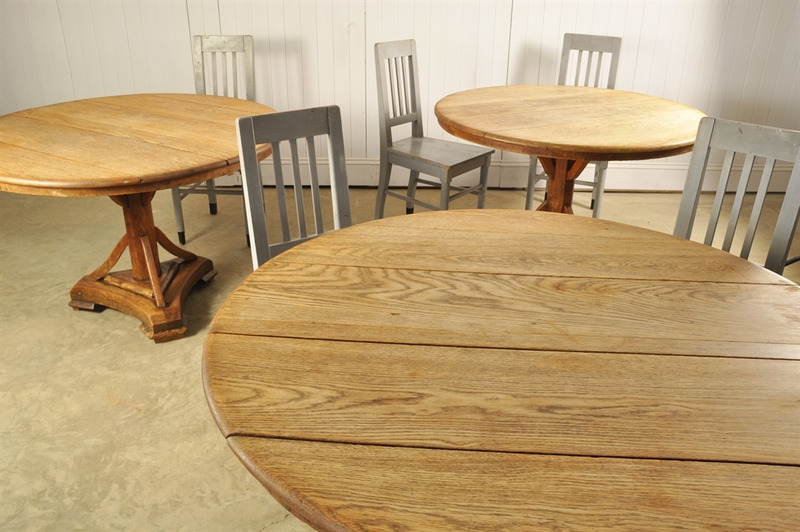 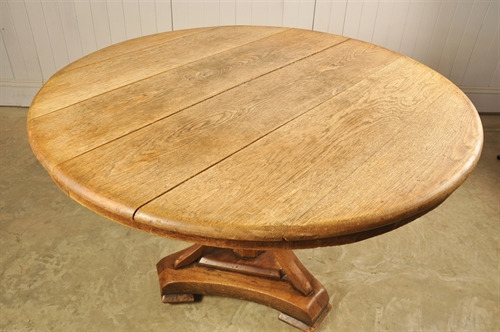 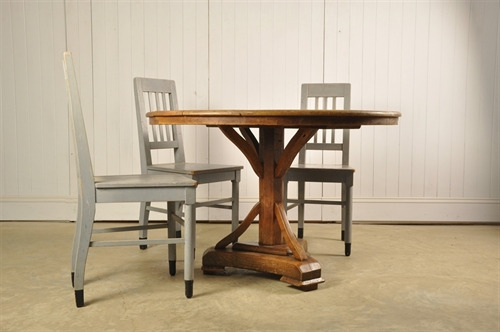 Circa 1920's these lovely oak tables were sourced from Downe House School. 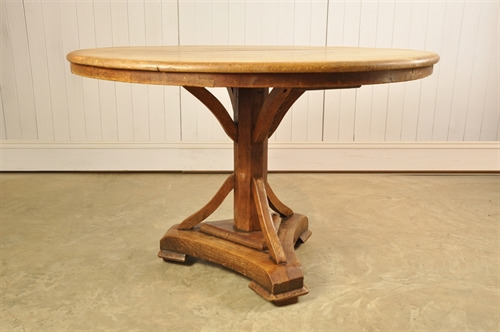 The school moved from Kent to Berkshire in 1922 and looking at the construction and style of the tables, we believe the tables to be from that period. 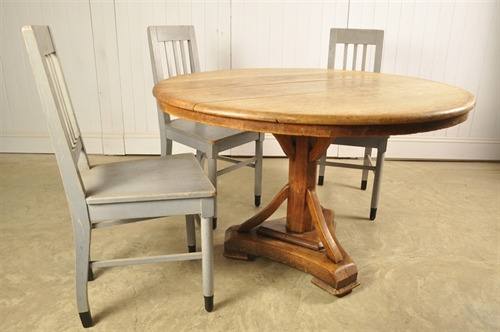 We have increased the height of these to make them suitable for dining on and re-glued and generally tightened everything up on them. 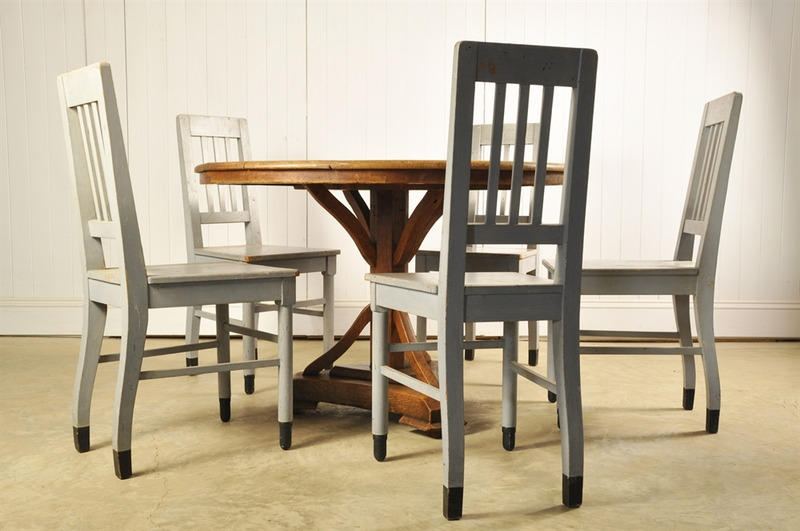 They are now good and pretty sturdy. The wide oak boards along the top have opened up a little and do have scratches here and there. 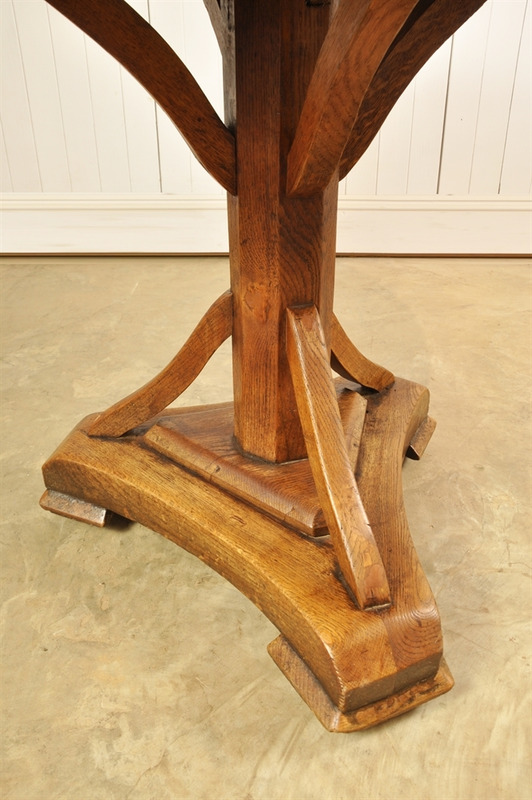 We have also left as much or the colour and patina to the column and legs as possible. 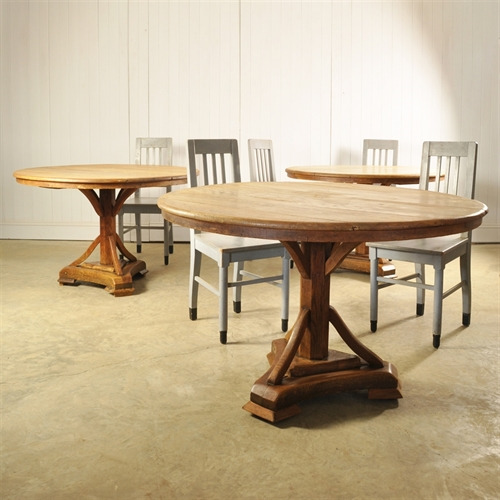 These are proper authentic antique dining tables. Click here for 20 x Romanian Church chairs also available. 75 cm h x 113 across - Space for 6 around the table. 3 available, priced and sold individually.